I’ve been experimenting with homemade sodas lately….especially Ginger Ale. Homemade sodas not only taste great, you get to control the flavor, the sugar, the ingredients…everything. And they go pretty quickly. You can make the whole thing (start to finish) in about 7-10 days. But why would you want to make your own soda? Ginger Ale is also sometimes referred to as “Ginger Beer” (as in Root Beer), but it is not like the “beer” you normally think of. Although ALL fermented beverages have the possibility of containing alcohol, this particular recipe is a fast ferment. That means that it should not have anything other than trace amounts – if any alcohol at all. 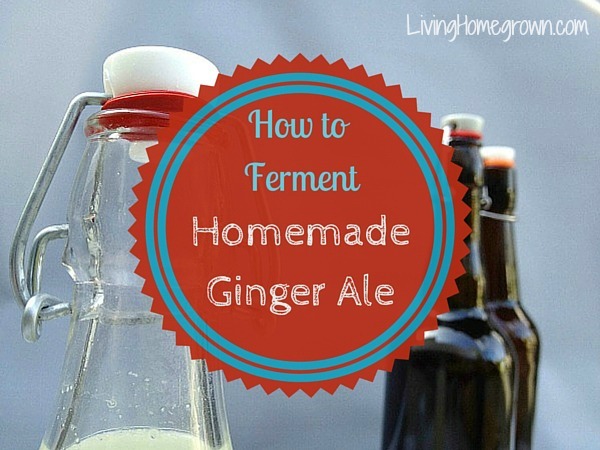 This post will show you how to make homemade Ginger Ale (about four 16-oz bottles) in four easy steps.